I have done 4 years of judo and 14 years of Tae Kwon. 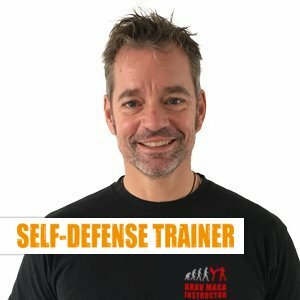 In the search for a reasonable form of self-defense I looked around intensively and informed myself, among other things with WT, Systema and Krav Maga. Krav Maga convinced me immediately and I have been doing it since 2014. In my eyes there is no more efficient method of self-defense, because all techniques are based on natural reactions and reflexes and can therefore be learned quickly. In addition, after more than 20 years in the police service, the LE training in the KMI gives me the feeling for the first time that I really know meaningful and functioning intervention techniques, which can also be trained regularly and intensively.